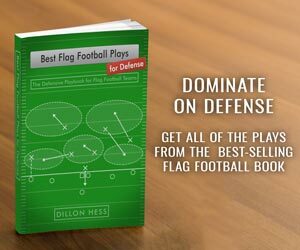 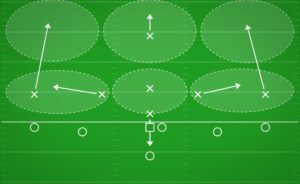 The 1-3-1 defense in 7-on-7 is similar to the 3-4 defense in 11-on-11, because it places an emphasis on the strength of your Linebacker-type players. 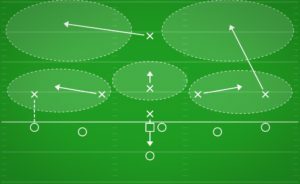 Your Linebackers may not be your fastest players, but they have good football IQ, and with the 1-3-1 defense, they can work together as a unit to lock down the middle of the field. 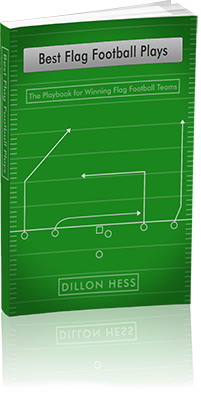 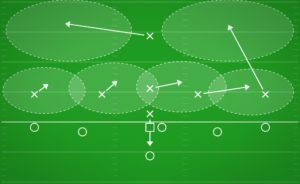 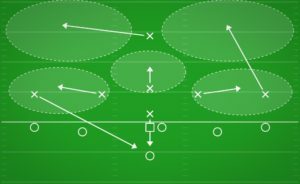 Your outside linebackers are strategically positioned in a way that allows them to keep one eye in the middle of the field, while still being able to flow towards the sideline to maximize the amount of space they can cover. 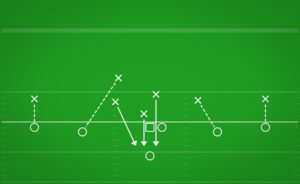 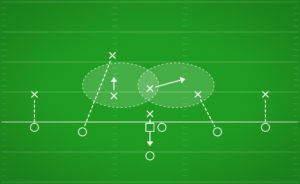 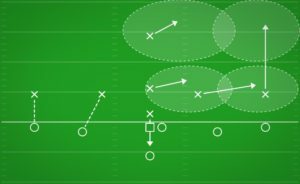 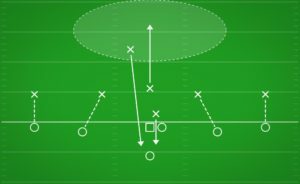 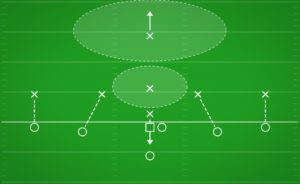 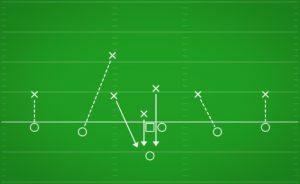 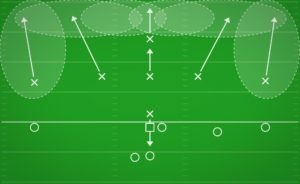 Running this defense is a great formation for Zone plays; in particular, the Cover 3 Zone and the Matchup Zone.